In 1987, Nike launched one of their most innovative and groundbreaking designs, the Nike Air Max. Known now to some as the Air Max 87 and to others as the Air Max 1, the first sneaker to feature a visible Air cushioning unit in the heel set the direction for countless designs that use Nike's most popular technology. 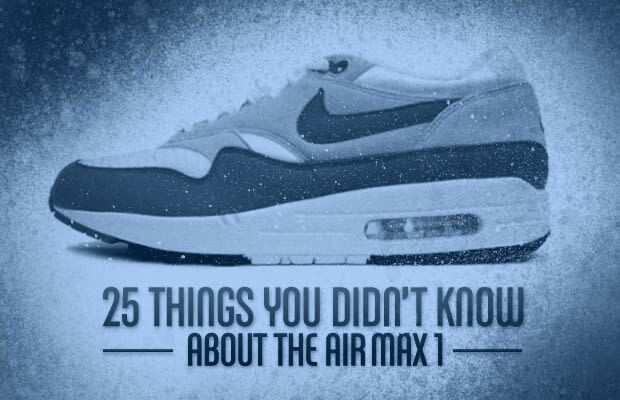 From the inspiration Tinker Hatfield found in Paris, to the other sneakers he was presented to design alongside the Air Max 1, check out 25 Things You Didn't Know About the Air Max 1.